South View Ranch is located southwest of Ceylon amid the rolling hills of south-central Saskatchewan; 80 miles south of Regina and 30 miles north of the US border, the Port of Regway. Charles Kaufmann and Elaine Fettes were married in 1949 at which time they rented South View Farm. It consisted of six quarters of land; four cultivated and two native prairie. 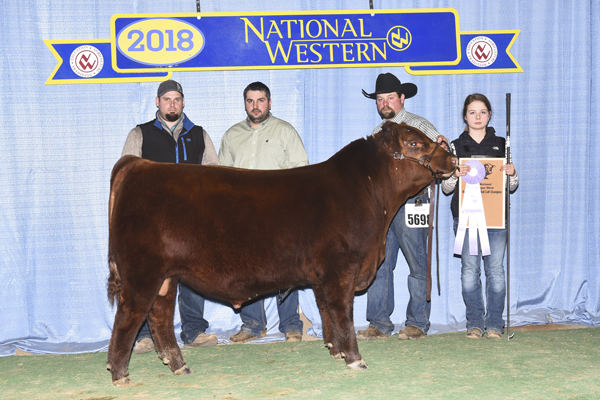 They purchased the farm in 1953 and ran 25 head of commercial cattle derived from offspring of the Brown Swiss milk cows, crossbred to Shorthorn and Horned Hereford. In the late 50's Black Angus bulls were used. The black baldy cows were exceptional females for the environment, better known as ‘short grass’ country. On this small mixed farm Charlie and Elaine raised four children; daughter Ryan born in 1951, son Keith in 1953, daughter Margo in 1955 and daughter Trudy in 1957. They were a very busy family involved with the day to day operations of running the farm. Tragedy struck in 1971 when Charlie passed away suddenly in April at the age of 43. Keith was finishing his Grade 12 at the time, so with the help of relatives, neighbours and friends the cows were calved and the crop was seeded. The previous fall Charlie had started building a 60 head hog barn, so Keith put his plans of welding and mechanics at Tech School aside, grabbed the reins so to speak and picked up where his Dad left off. The barn was finished, 60 sows were farrowed with piglets sold as weanlings. Keith married Linda Beres in 1973 and together they worked to make the farm a viable operation. Keith and Linda were blessed with two children; Shane in 1978 and Stacey in 1980. After graduating Shane's interest and love of cattle and ranch life kept him involved at South View. In 1999 he married Alexis Muxlow and they have four children; Keaton 7, Kamrie 4, Kohen 2, and Korbyn 4 months. The future of South View Ranch looks very bright with the 4th generation already becoming involved. Stacey lives and works in Weyburn, but comes out to help at the ranch whenever needed. In 1975 the McGrath Ranch, which bordered their pasture, came up for sale. The McGrath brothers thought it was too large for one person so Keith and his cousin Garth purchased it together. They ran 250 commercial cows on this 5000 acre spread. The hog operation was sold and the barn used for calving. With the inflation of the 70's it looked as though they had made all the right decisions. With the 80's came drought, grasshoppers and high interest rates. Cousin Garth wanted out of the partnership so Keith and Linda purchased his half of the ranch in 1985. 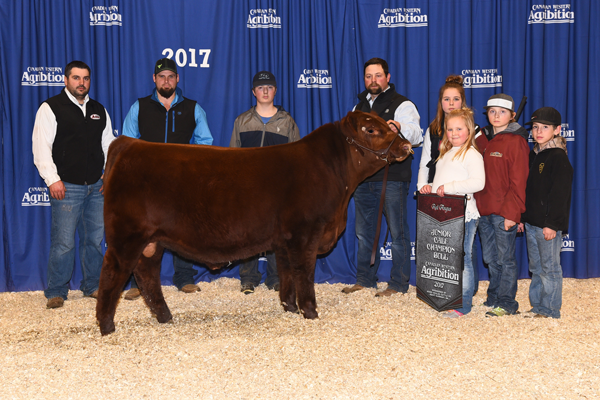 Angus was definitely the breed of choice so in 1990 South View Ranch's purebred operation began with the purchase of 10 Red Angus females. 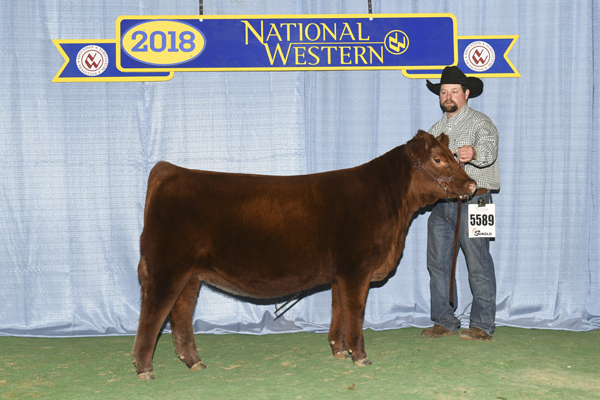 Keith purchased eight cows that originated from breeders Glen Salkeld and Louise Todd. 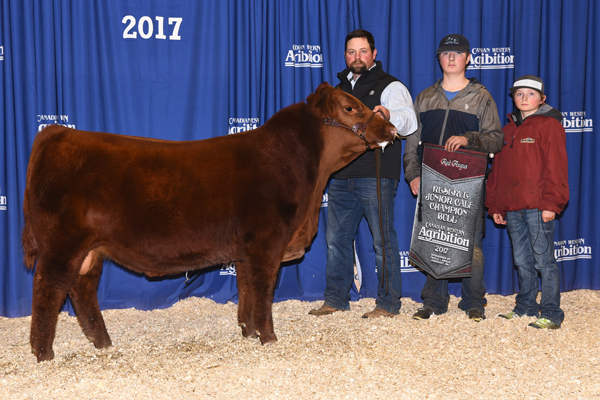 Shane, who was 12 years old at the time and a 4-H member, bought two heifer calves from Circle R Red Angus, one of which was his 4-H project. This began their Red division. 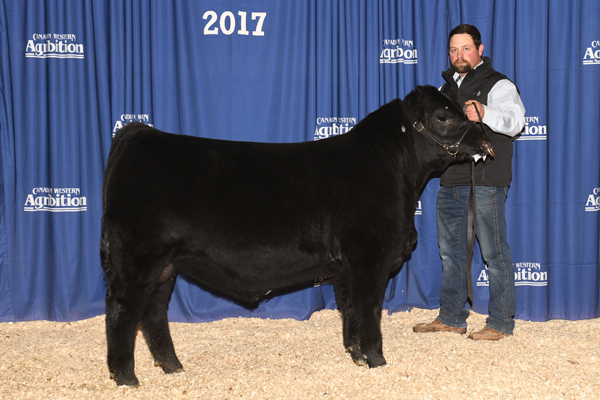 A few years later Shane initiated the idea to implement Black Angus into the business and with the purchase of 20 Black females from Brost Cattle Co. the Black division was born. Almost 20 years later they are breeding around 250 Red and 150 Black females. 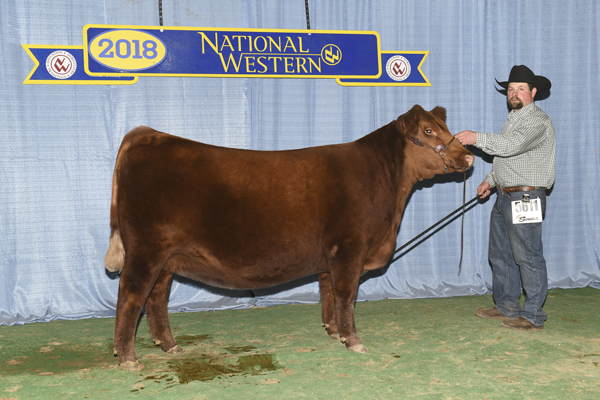 Prominent cow families such as the Jinny's, Christy's, Fancy Lady's, Forever Lady's and Ruby's have contributed to the strength of the cowherd. Just as important is bull selection. 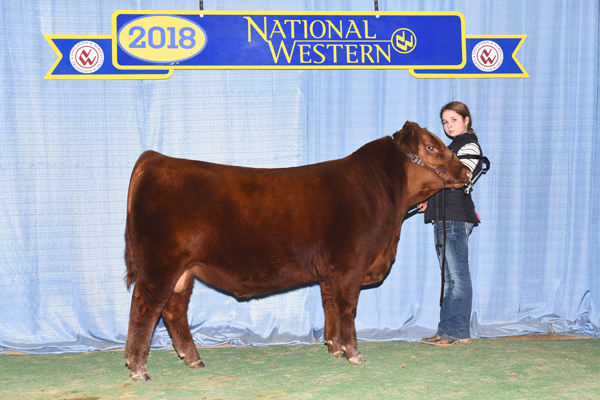 Great herdsires such as Red South View No Equal 28H, Red Geis Hi Ho 180'04, Red SVR Knight 73P, Northline Tuff 619H, Crescent Creek 235 Trav 65R to name a few, have also played a large part in developing the herd to where it is today. The challenge is ongoing to breed the next great one or to find that one which will take their purebred business to the next level. 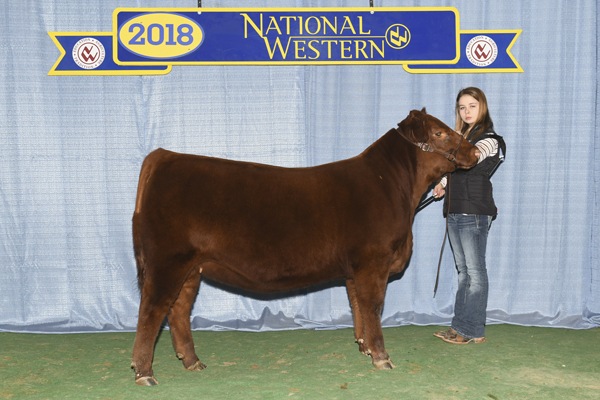 For exposure of the quality of cattle they raise to the rest of the world they participate in a few cattle shows each fall, the most important one being Canadian Western Agribition. Over the years they have had many winners, but the greatest satisfaction is definitely felt when a customer does well with their SVR genetics. 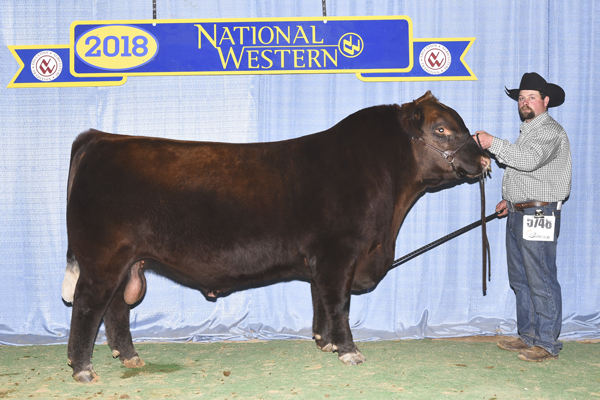 The Kaufmann's host their own bull sale at the ranch each April offering close to 100 Red and Black Angus bulls. April 15, 2010 will mark their 10th Annual Sale. 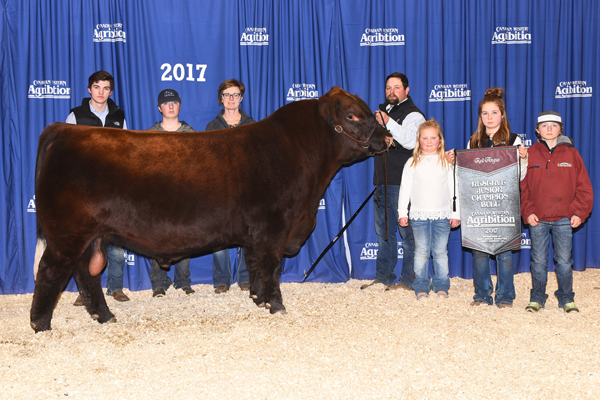 Select females have been offered through some of the breed's top sales such as Red Round-up, Masterpiece, Angus Pride, and Grasslands. Of course, they prefer private treaty sales that come with a visit and tour! 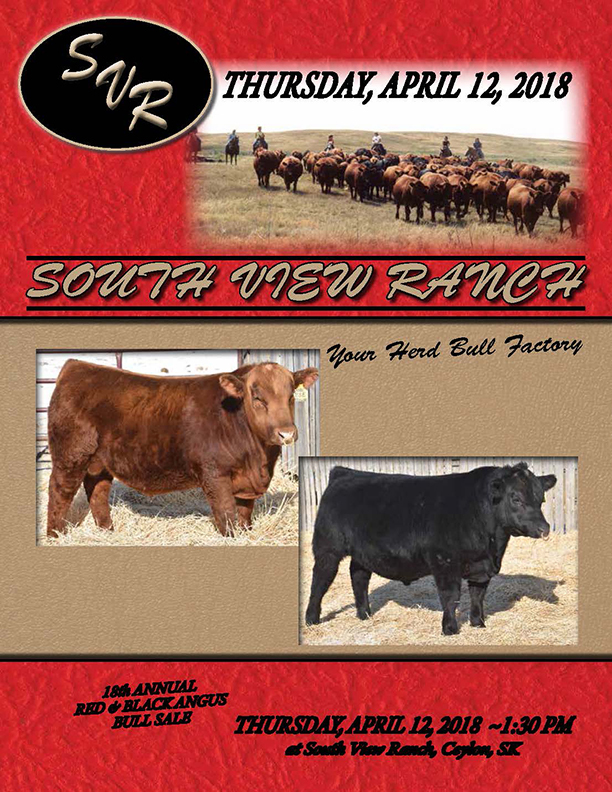 South View Ranch genetics have been sold to United States, Russia, Uruguay, Hungary, Brazil and Mexico. Involvement in their community and the Angus industry also keeps the Kaufmann family very busy. Keith was a Saskatchewan Angus Association Director from 1998 to 2009 as well as a Director on the Canadian Angus Association Board from 2002 to 2005 and from 2006 to 2009. He served as the Angus representative to the Saskatchewan Stock Grower’s Association for a number of years as well. Keith has been a councillor and now Reeve for the RM of the Gap #39 from 1980 to present day. Both Keith and Shane have been active on numerous local committees such as the Lions Club, Park Board, Rec Board, Vet Board and ADD Board. In 2000 Keith initiated the idea of a feedlot in their region. Five years later Border Line Feeders Inc. became a reality just south of Ceylon. Keith is President of this successful 12,000 head lot with approval to expand to 20,000 head in the near future. Congratulations to the Kaufmann’s on being awarded Saskatchewan Angus Breeder of the Year!